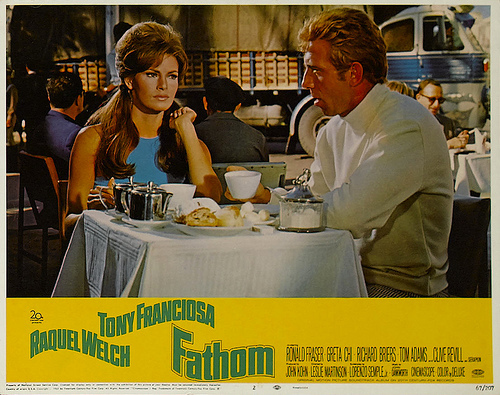 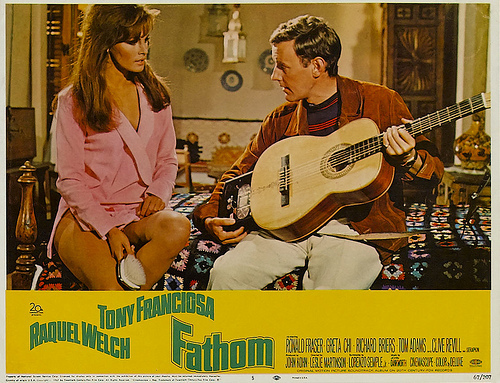 Fathom is a 1967 British CinemaScope spy comedy film directed by Leslie H. Martinson, starring Anthony Franciosa, Raquel Welch. 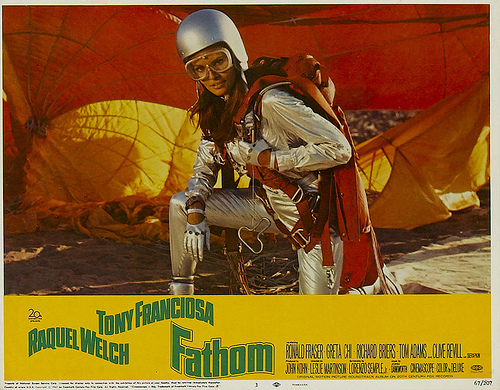 Fathom Harvill (Raquel Welch) is a dental assistant and an American skydiver touring Europe with a U.S. parachute team. 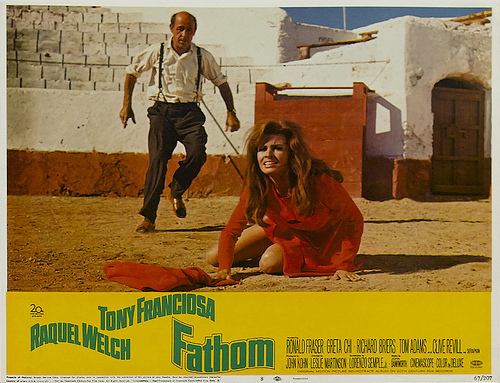 She is approached by a Scottish agent to recover an atomic triggering mechanism. 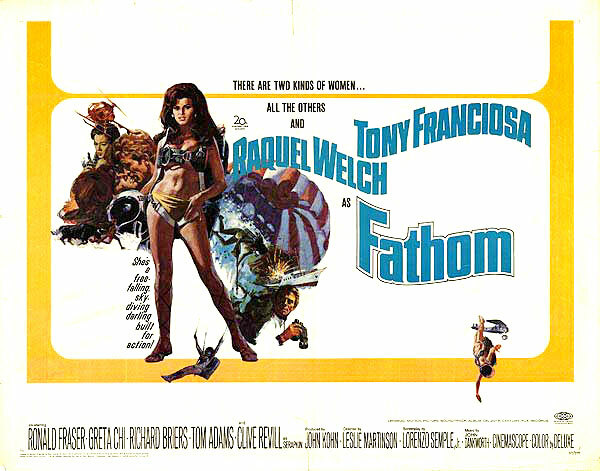 The film was based on Larry Forrester's second Fathom novel Fathom Heavensent then in the draft stage but never published.His first Fathom novel was 1967's A Girl Called Fathom. 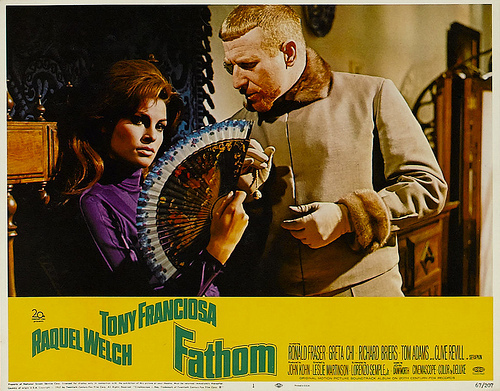 Fathom Harvill (Raquel Welch) is an American skydiver touring Europe with a U.S. parachute team when she's approached by Douglas Campbell (Ronald Fraser), a Scottish agent, who wants Fathom to help find a triggering mechanism for nuclear weapons has gone missing in the Mediterranean. 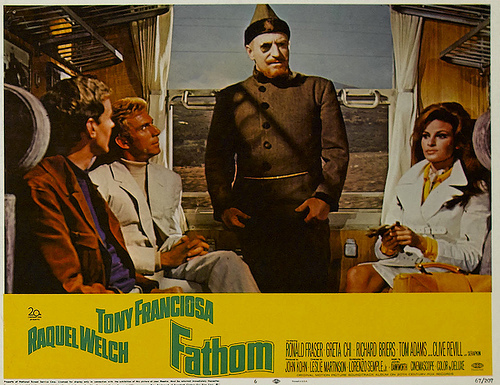 It soon becomes clear, however, that there is more to the situation than meets the eye.